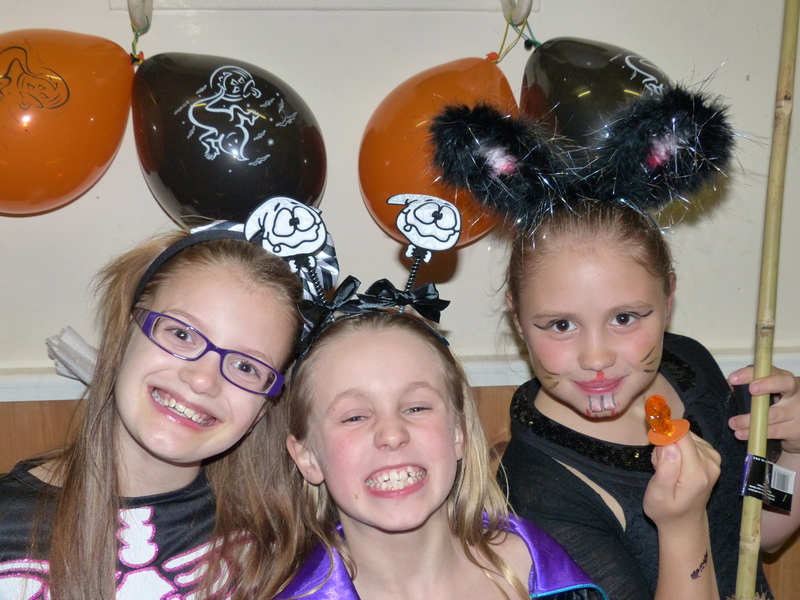 A spooktacular time was had by over 200 people last week at our Halloween party. 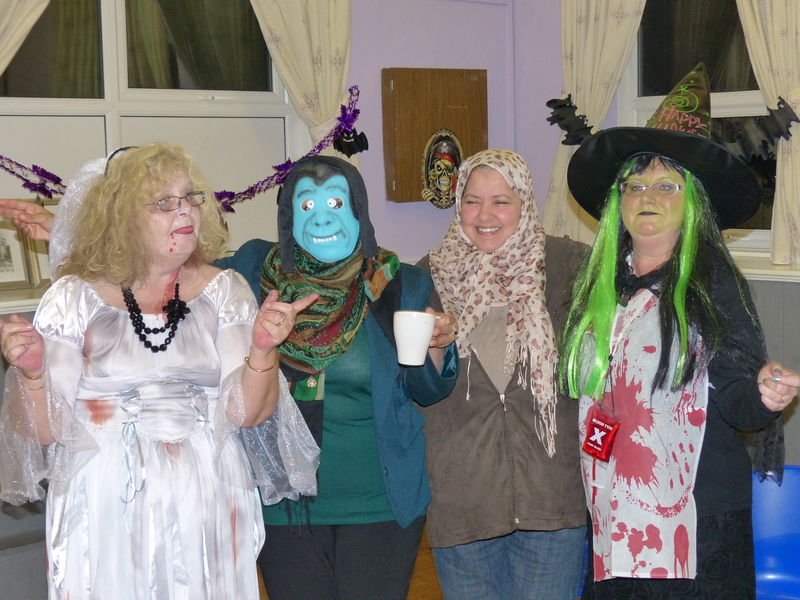 The event was run in partnership with Mossley Community Centre, funded by BIG Lottery Awards for All (community centre craft activities) and Mossley Town Council and was a runaway success! 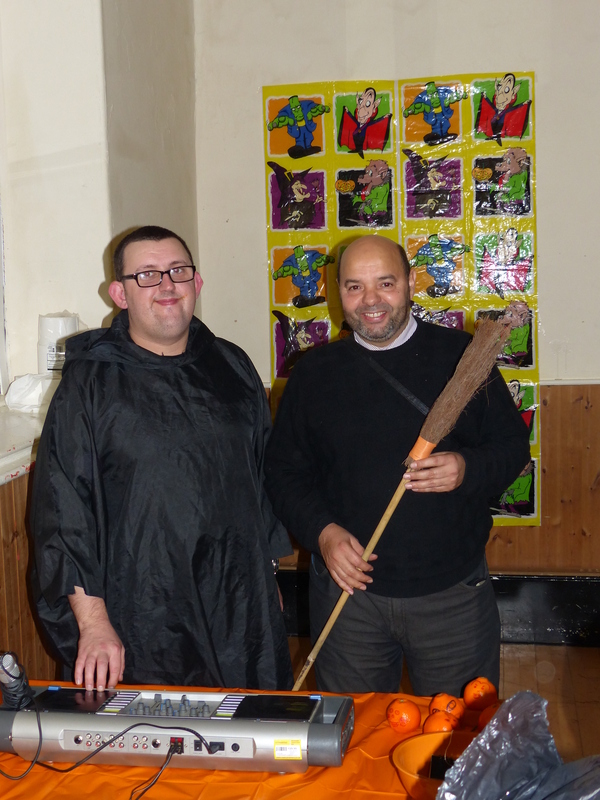 There was fine food including seasonal soup, apple buns and spiced juice using apples gathered through our Abundance project – people also brought along loads of delicious food to share. 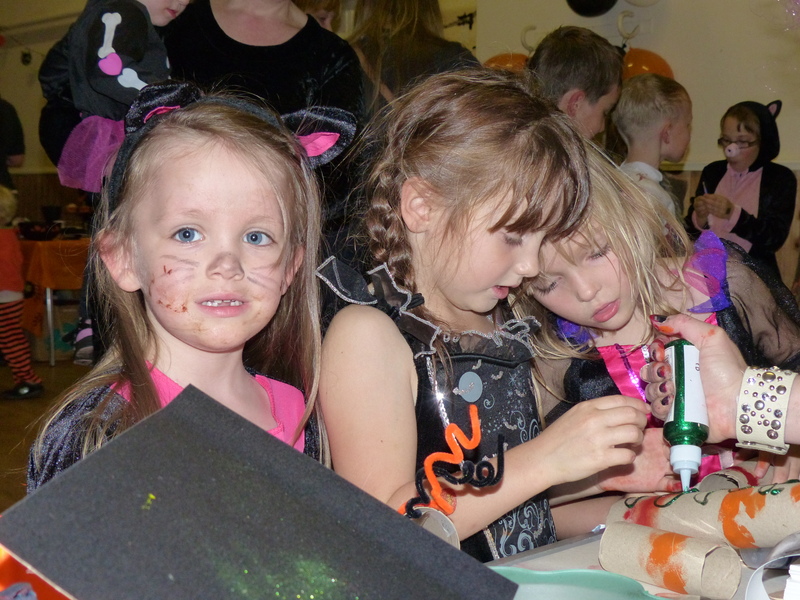 A host of little witches and demons were kept busy with bun decorating, pumpkin carving, zombie dancing, mummy wrapping, grabbing spiders from goo, tattoos, facepainting, toasting marshmallows on the fire and plenty of craft activities! 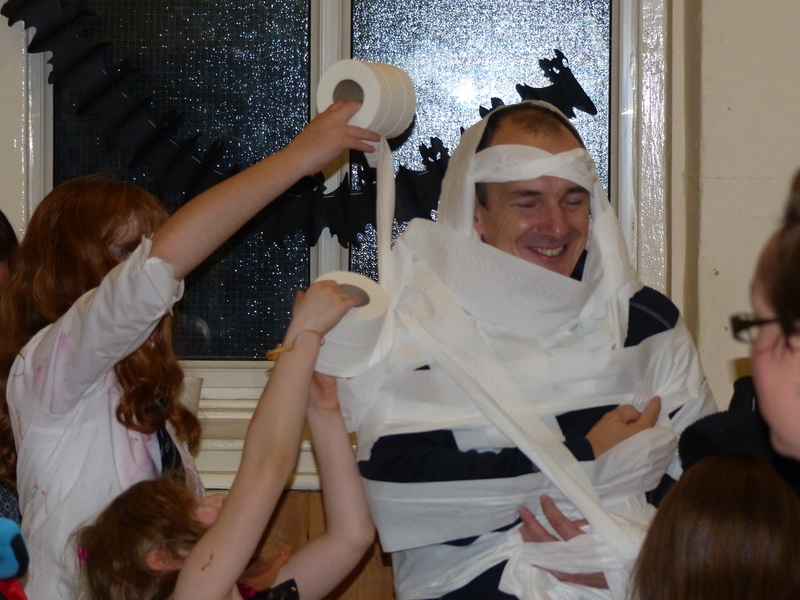 The party provided a splendid end of term treat and we hope they all slept well! 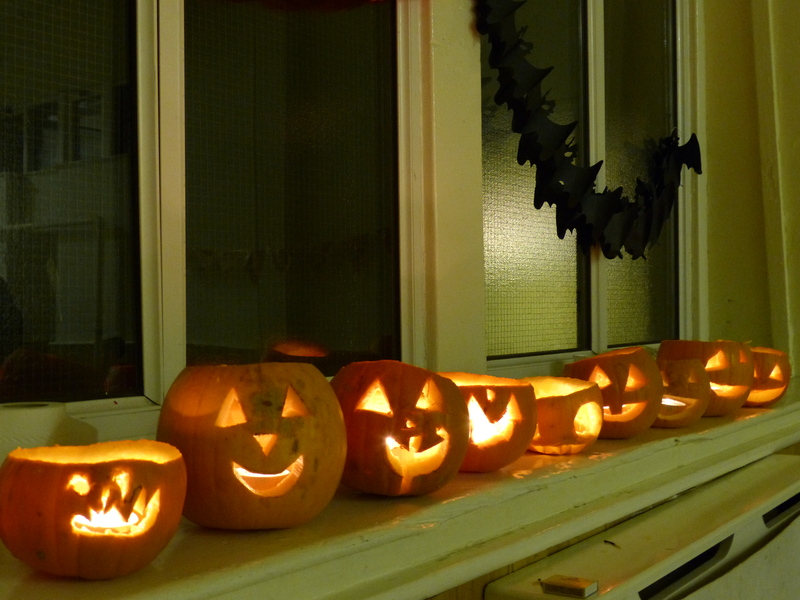 A huge thanks goes out to the horde of volunteers who helped the evening go so well – it was a lot of hard work but well worth it for the fun everyone had…same again next year?? 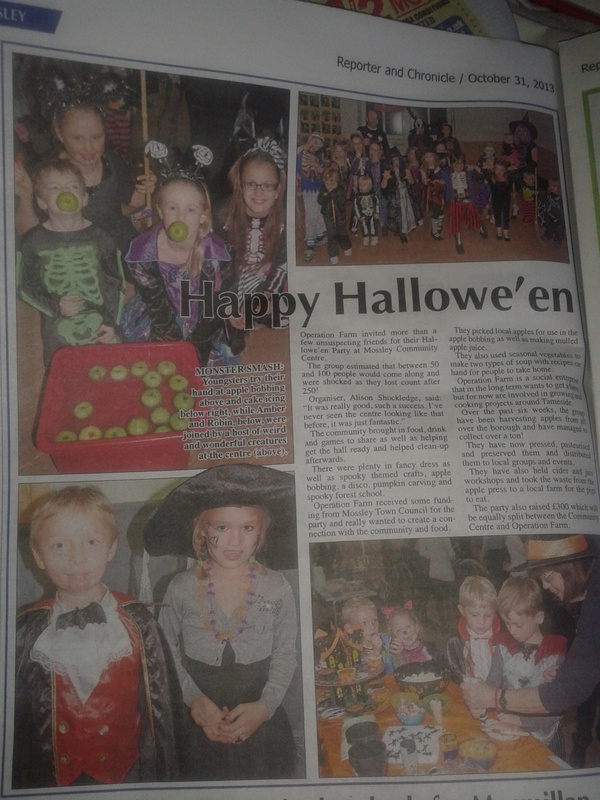 The event got great coverage in the Tameside Reporter, even getting a front page mention! 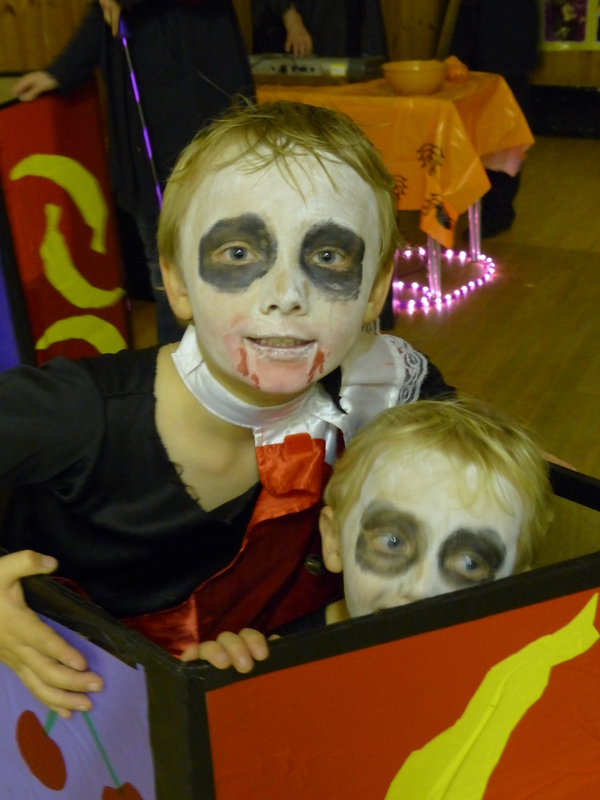 An attendee wrote the following feedback for us: The Halloween party was fantastic! It was well advertised which showed in the numbers of local, and not so local families that attended. 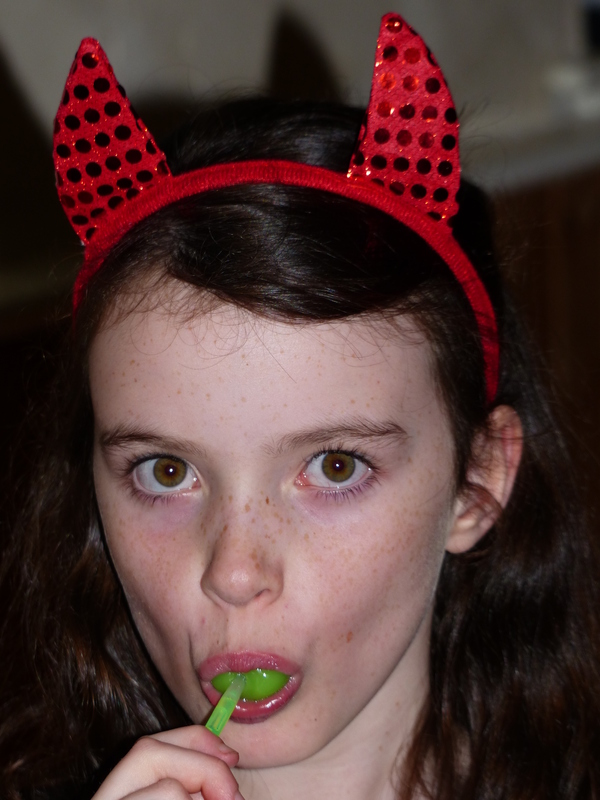 Everyone was eager to enter into the spirit and most people dressed for the occasion – and not just the kids. 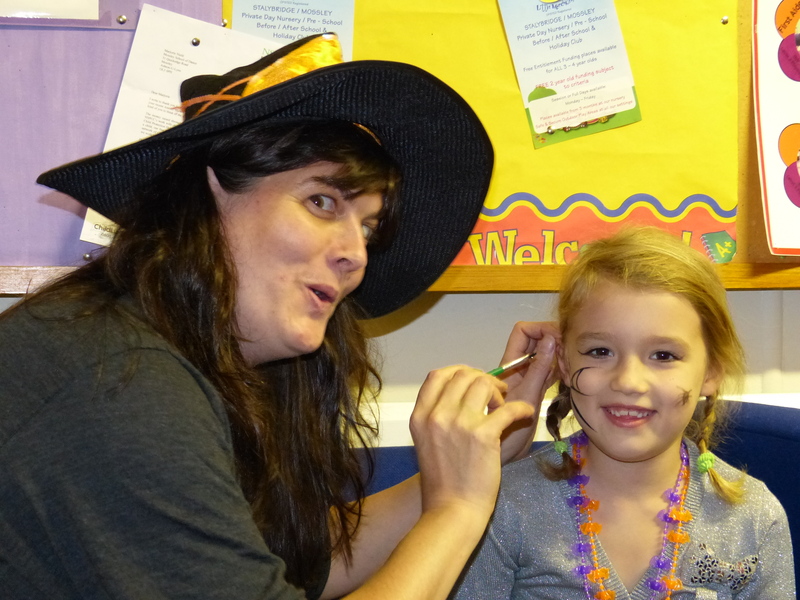 There were good activities for the kids – pumpkin carving, stick on tattoos, spooky crafts, decorating cakes and biscuits and lucky dip in goo to find spiders! Outdoor activities also engaged the children regardless of the weather! 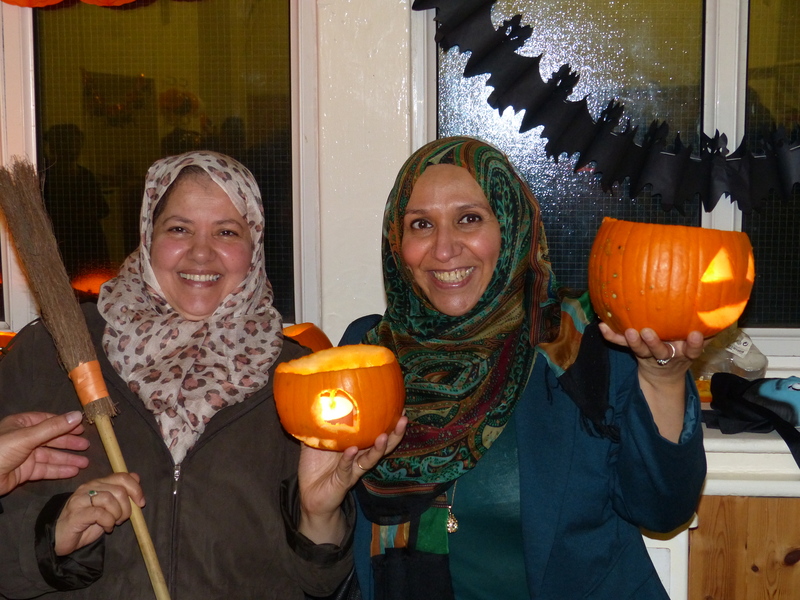 Families brought food to share and spent time catching up with old friends and making new ones. Suggested donation for entry was suitably priced – just £5 for a family. It was a well-run event and would gladly participate in other events run by Operation Farm in the future.